Both Nissan and Jaguar have confirmed their driver line-ups to for the 2018/19 Formula E championship. Nissan’s new factory effort in the all-electric championship with e.dams will be spearheaded by former Formula 1 driver Sebastien Buemi who continues with the squad in its new guise. While the team will add Formula 2 graduate Alex Albon. “Season five will be a whole new beginning for me in many ways,” said Buemi. “The level of competition in the series is intense, and I’m looking forward to testing myself against some of the best drivers in the world,” said Albon. Meanwhile, Jaguar has confirmed it will unchanged driver line-up with Kiwi driver Mitch Evans and Nelson Piquet Jr. The British manufacturer made the announcement while launching its new Generation 2 car the Jaguar I-TYPE 3 for the next Formula E season. 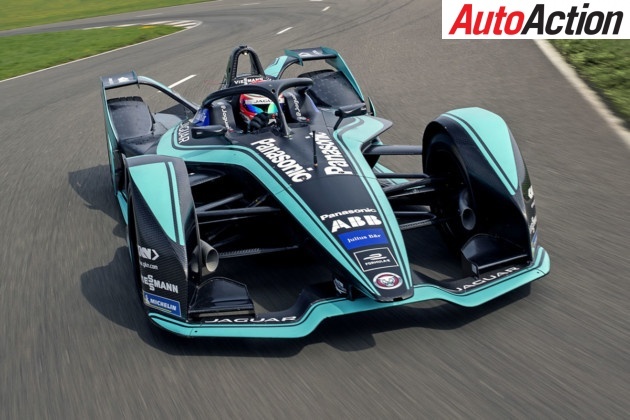 “Panasonic Jaguar Racing have made great progress during our short time in Formula E.” said James Barclay, Team Director Panasonic Jaguar Racing. The 2018/19 Formula E season commences December 16th in Saudi Arabia. For more of the latest international motorsport news, pick up the latest issue of Auto Action, on sale now. Also make sure you follow us on social media Facebook, Twitter, Instagram or our weekly email newsletter for all the latest updates between issues.